Phoebe has come to recognize the truth of Gandhi’s wisdom and so her interests are focused on how to put her personal commitments to equality, justice and ecological / social sustainability into practice through her research, teaching, activism and art, all of which she sees as inseparable. For example, she is currently co-editing a book, World Turning: New Perspectives on Race, Class, Gender and Global Climate Change (2015) that incorporates works from academics, activists, poets, artist, and play writers from around the world. She lives with her wife Tina and two cats in Willimantic, CT.
Godfrey, P. C. (2012). ‘“I Was One of the Better Interrogators”: Gender Performativity and the Identity Transformation of a Female Military Intelligence Officer in the Iraq War.’ In Gender and Conflict Since 1914: Historical Lesson and Interdisciplinary Perspectives edited by Ana Carden-Coyne, Palgrave Macmillan. Godfrey, P. C. (2012). “Eschatological Sexuality: Miscegenation and the ‘Homosexual Agenda’ Brown vs The Board (1954) to Education to Lawrence vs. Texas (2003)”. Race, Gender & Class,vol 19 no. 4 (pp 143-160). Godfrey, P.C. 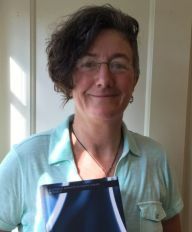 (2012) –Guest Editor, for a special 2012 edition of the journal Race, Gender, Classfocusing on Race, Gender and Class and Global Climate Change.